Fill out our simple form and get quotes from local styling experts. Event styling can be quite a tricky proposition, especially if it’s something you’ve not done before. Fortunately, whether you’re styling a wedding, corporate event or private party, we have a wide range of amazing suppliers who can help you achieve the perfect look and feel, no matter the theme or occasion. Event stylists can be flexible with event budgets and venues, and look at everything from colour palettes and lighting to flowers, furniture and decor. So whether you’re looking for event stylists to discuss ideas with or a supplier who can inspire and pull everything together for you, simply submit a request form to hear from event stylists in your area. We style any occasion from weddings, corporate events to birthdays and themed events. Based in Hertfordshire we offer services to all surrounding areas. We can add style to your special day. With a wide range of decor available. Looking for that special finishing touch for your wedding or special event? We supply both indoor and outdoor LED blossom trees, postbox for your cards, love lights, candy cart, uplighters and more. We offer everything you would need to dress your party. From theme, to linen, to chairs decorations and balloons. We cater for all occasions and dress the room for the perfect party! We have a wide catalogue of vintage, rustic and retro props available for hire, perfect for DIY brides. 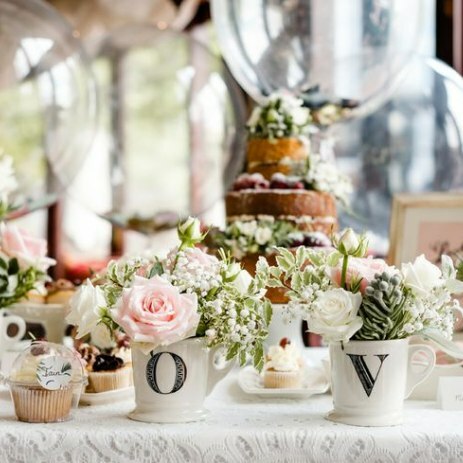 We also offer Venue Dressing, Floral Design's and a Bespoke Venue Design Service. All your event styling needs in one place, saving time and money. There are many different ways to approach event styling, but often the best one is to think about what inspires you and then work with an event stylist to bring that to life at your event. As well as ideas and advice, most event stylists can also provide furniture, flowers, decor and lighting, which can help with the workload, whatever type of event you’re planning. Every event tells a story, what will yours be? Find out more and hear from local event stylists by submitting a request form now.